Today, there is just so much out there. So many options, so much to choose from. It’s good, since we all love choice, but it can be tough to cut through the clutter and find some things that are actually unique and original. For men, a huge way to show off some style and to be a little original is with a fresh timepiece. Yes, a watch…not a cellphone glance. And as much as I love Apple, an “old fashioned” watch that pretty much tells time only is still the way to go. Much as with my style in furniture and home design, I’m a big fan of more traditional, classic looks. I love natural materials, too, like wood and leather. When I came across Original Grain watches..it’s like I was coming home all over again. It’s all about getting the little things in life right. The pieces are classic, though not dated. They look and feel great, and I love the mix of wood, steel, and leather. You can get metal bands as well, but this trio really speaks to me and my personal preferences. 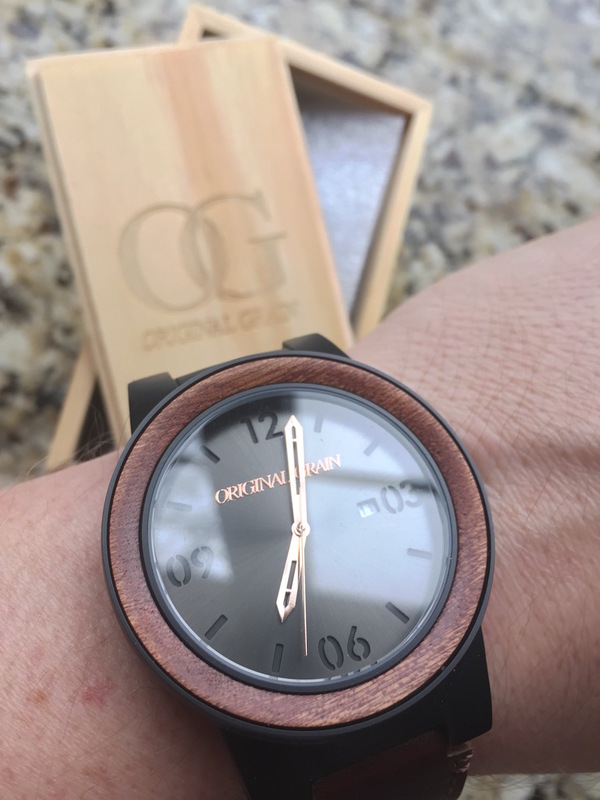 Launched in December 2012, Original Grain is the premier maker of All Natural Exotic Hardwood and Stainless Steel watches. They are purveyors of style. Forged of wood, steel and a fresh approach to classic traditions. Their timepieces are held to the highest standards of craftsmanship, authenticity, and quality. In doing so, each one of their products is truly an original. If that’s not enough…these watches won’t cost you an arm and a leg. 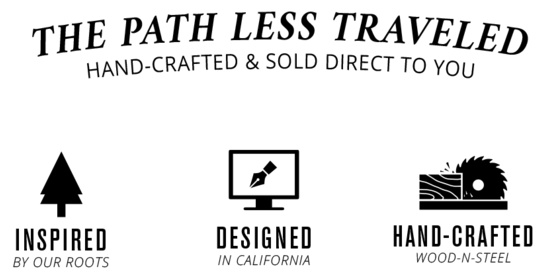 Since they design, manufacture, and sell directly to their customers, the prices are dope. All with free shipping wordlwide! It’s, like, totally rad. The one that I own…The Barrel… features a 47MM face (big) and custom inlaid bezel and link design. This one is hard to miss, especially with a very bold mix of exotic wood, stainless steel, and very supple leather. This makes for an unmistakeable first impression, no doubt. To top it off…Original Grain has partnered with Trees for the Future with the goal of planting 1 Million trees in 2016. 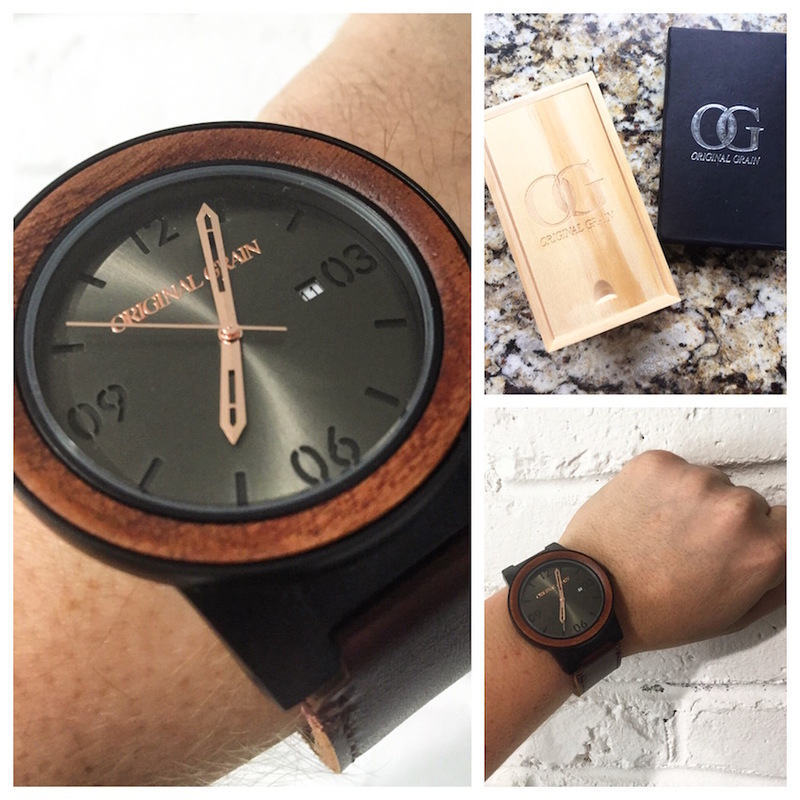 For each watch sold, Original Grain will donate 10 trees! Who says being a tree-hugger can’t be fashionable? Guy and the Blog was provided a watch for the purpose of this review. All opinions are my own.